For whatever reason, Prada has not been kind to women of color in fashion. Out of all the major fashion houses, Miuccia’s has been the most publicized for its lack of ethnic models, and their reputation for such actions are notorious. A decade went by before a black model strutted its catwalk in Milan when Jourdan Dunn did just that in 2008, and this week it was revealed the Italian brand has cast its first black model for a campaign ad in 19 years, the odd honor (though awesome for her model resume) going to Malaika Firth. 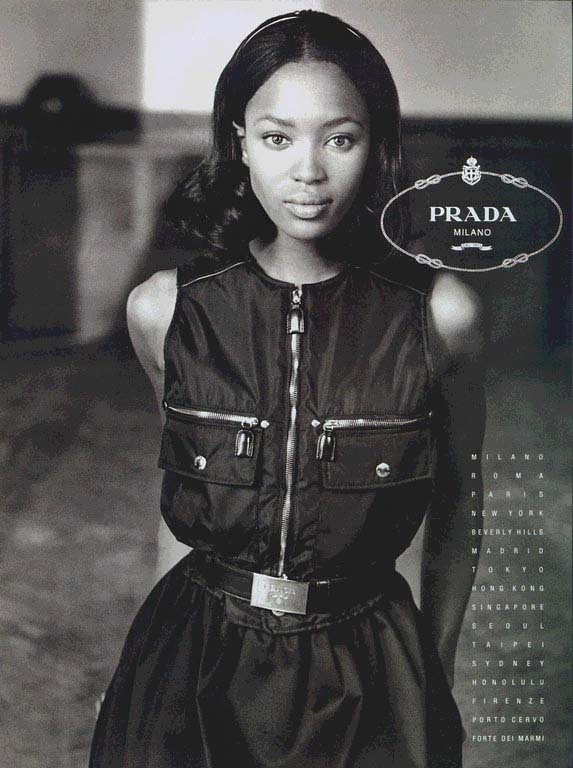 Interestingly, it was the legend Naomi Campbell who was the last black model Prada used for its ads and runway back in 1994. Campbell was 24 years old when she originally posed for Prada, in a series of classy, demure black and white shots by Steven Meisel. So as mainstream outlets like the Huffington Post and the UK’s Daily Mail have jumped on the story to exploit the absurdity’s of Prada’s racism, the bigger issue is how insulting it is that Prada found it acceptable to go as long as they have in not celebrating women of color on their runway, and even as rappers continued to name drop the label in ghetto fabulous raps of the good life. How is that Prada passed on models like Liya Kebede, Oluchi, Alek Wek, Arlenis Sosa, and even It Girl Chanel Iman? When Dunn walked the runway, it was a complete shock, which was unfortunate.